We have had a year of change in the Plumtree group. Some members have left and some new ones have joined. 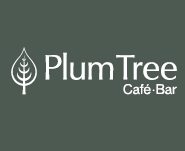 We were meeting for a short study in the Plumtree before taking part in the quiz on a Wednesday. Any money we won (which wasn't a lot!) we donated to the food bank. Although we were becoming known as the group from church our impact in terms of community was limited. At this time we were studying the Sunday sermons. On the first Wednesday of the month we met in at a members home for a meal. More recently we have been studying from the book 'A Passionate Life'. Meeting in the pub meant we only had an hour to study and discuss points for prayers. Due to this and the suggestions in the book we felt led to be more active in the community. We are now meeting in a members home for study and prayer and have put together a programme of community action beginning with singing at the newly opened care home. We would be happy for others to join our community activities. Although only a small group we have had some really positive sessions: helping each other to be more effective disciples. We have shared ideas to help maintain daily bible reading and prayer. We had a particularly honest and moving evening of praying for each other around issues of forgiving others. We have already seen God answer some of our prayers and continue to pray for each other and our church and community. We continue to eat a meal together once a month; enjoying sharing food and company before beginning our study. Over the coming months we would like to see the group grow in size as we also grow in faith.